Like many subjects relating to mental health, the issue of substance abuse often does not receive the same public awareness in Canada as other treatable illnesses. This low awareness exists despite the significant and well-documented impact substance abuse has directly on the healthcare and criminal justice systems, and indirectly on productivity. For example, the Opening Eyes, Opening Minds: The Ontario Burden of Mental Illness and Addictions Report , published in 2012, found that, in Ontario, Canada’s most populated province, the disease burden of mental illness and addiction is 1.5 times higher than all cancers put together and more than 7 times that of all infectious diseases. To put it another way, the Costs of Substance Abuse study, released in 2006, and led by the Canadian Centre on Substance Abuse (CCSA)*, estimated the total societal cost of substance abuse in Canada to be $39.8 billion. That’s almost $1,300 for every Canadian citizen. I believe the reason for low public awareness is connected to the stigma surrounding addiction. Many people may not perceive it in the same way that they view cancer or the flu, yet medical experts agree that addiction is not a character flaw, but rather a chronic illness. The Mayo Clinic explains that drugs actually make physical changes inside a brain that alter the way neurons communicate information. The degree of these changes, and therefore how susceptible someone is to substance use disorder, is affected by genetics outside of a person’s control. On its website, the Mayo Clinic says, “Physical addiction appears to occur when repeated use of a drug changes the way your brain feels pleasure… These changes can remain long after you stop using the drug.” Addiction is a disease. The good news is that, like other types of illnesses, substance abuse is treatable. The treatments available can be evaluated and improved in the same way as other fields, and addressing quality of care and access to services only takes prioritizing the same type of quality systems. 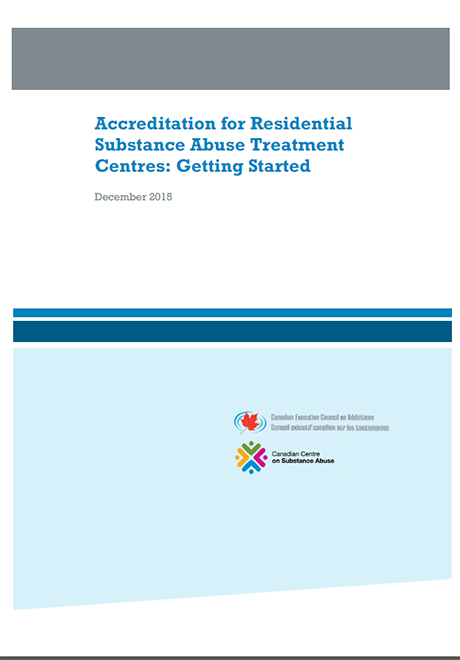 That’s precisely what the CCSA and Canadian Executive Council on Addictions (CECA)** aim to do with their new resource titled, Accreditation for Residential Substance Abuse Treatment: Getting Started. Third-party accreditation is a known way for providers to improve their services and stay on top of current research and leading practices in the field. However, a 2011 study conducted by the CCSA and CECA showed that approximately one-third of Canadian residential treatment facilities still had not pursued accreditation through any of Canada’s six key accreditation bodies for the field. To address this gap, CCSA and CECA organized a work group consisting of representatives from these six Canadian accrediting bodies to develop tools and guidance for residential treatment centres. The goal is to raise the quality of addiction services available for people needing treatment throughout Canada. In addition to the accreditation guide, this group developed informational webinars that were offered in the spring of 2015, and regional face-to-face meetings are currently being planned and will be advertised in the near future. This is a project that I am proud to be involved with as a representative of CARF Canada. Implementing an accreditation program, or other quality systems, for addiction services not only benefits persons directly served by providers, but also helps to lessen the burden of this chronic illness on society. In addition, current best practices, which are built into the accreditation standards that organizations must meet to become accredited, have important community integration and transparency components built in. This acts to inform the public of the facts surrounding addiction and reduces the stigma that is a barrier to appropriate awareness of the illness, ultimately reducing the burden on society and the suffering of those with this all-too common illness. ** The CECA was established in 2002 as a national, non-governmental organization to influence public policy on substance abuse. 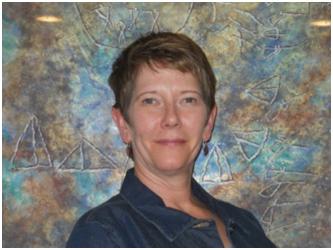 It is made up of senior executives of substance abuse agencies in Canada. Partnership development, advocacy, and capacity building are among its projects.